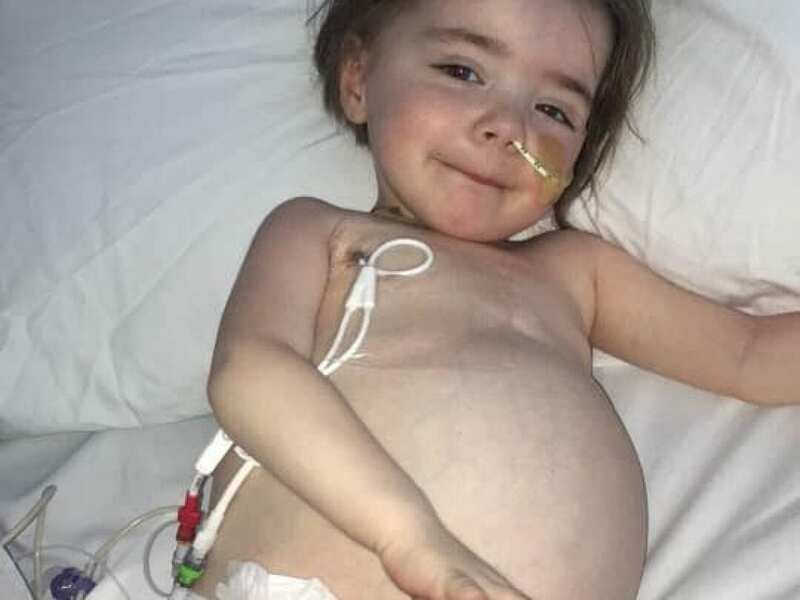 A brave toddler is facing a fight for life as she battles a rare and aggressive tumour that left her ‘looking pregnant’. 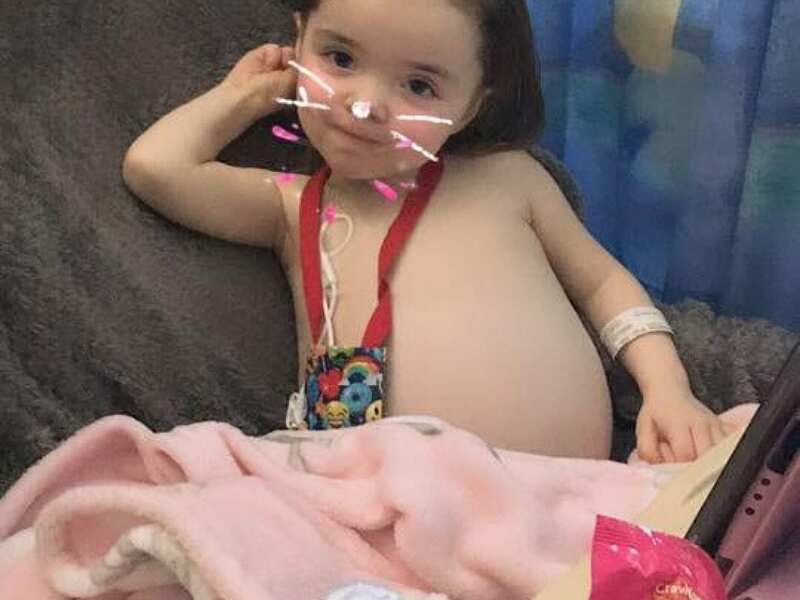 Her parents Shannon Latham, 23, and father Ryan Keenan, 26, have been told the “little warrior” has a 25 to 35 per cent survival rate after being given the devastating diagnosis in April this year. 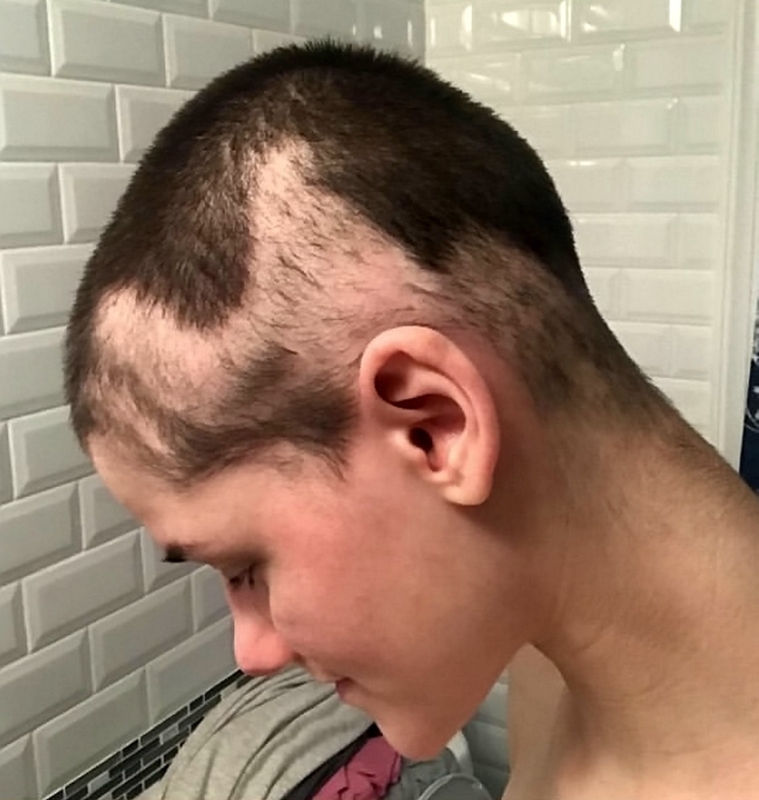 Mum Shannon said: “You never expect it to happen to your own child. “Now that it’s happened, I feel powerless. I wish there was a way I could take it away from her and fight it. 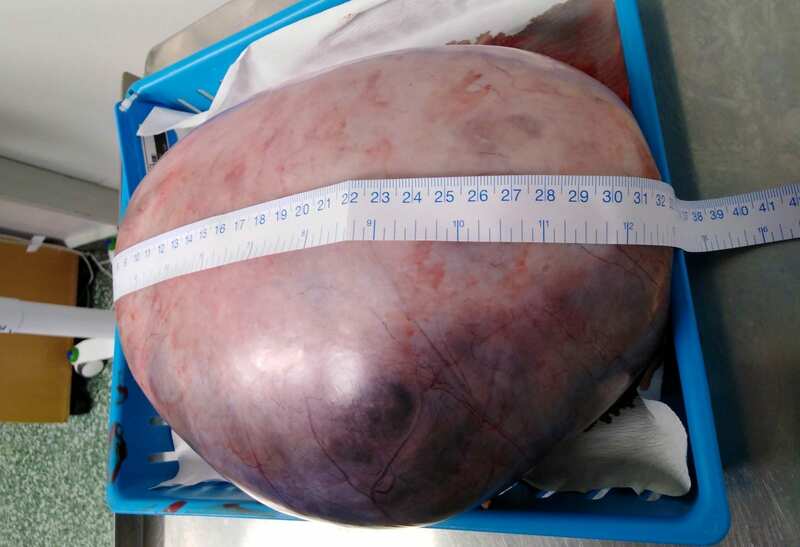 Cleo was taken to a medical centre in February where it was suspected the swelling in her stomach was caused by a hormone imbalance she has suffered from in the past. 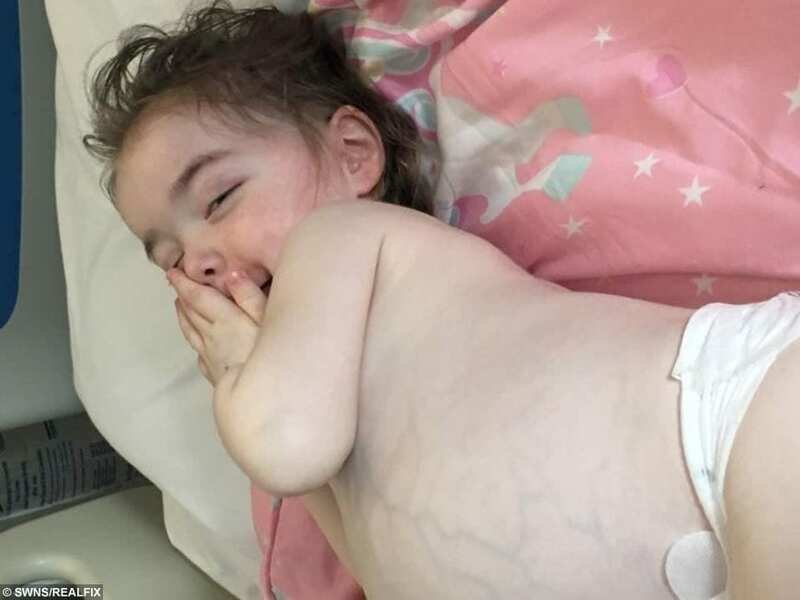 However, in March the toddler was rushed to Blackpool Victoria Hospital’s A&E department after complaining of a stomach ache, where doctors quickly realised there was something terribly wrong. 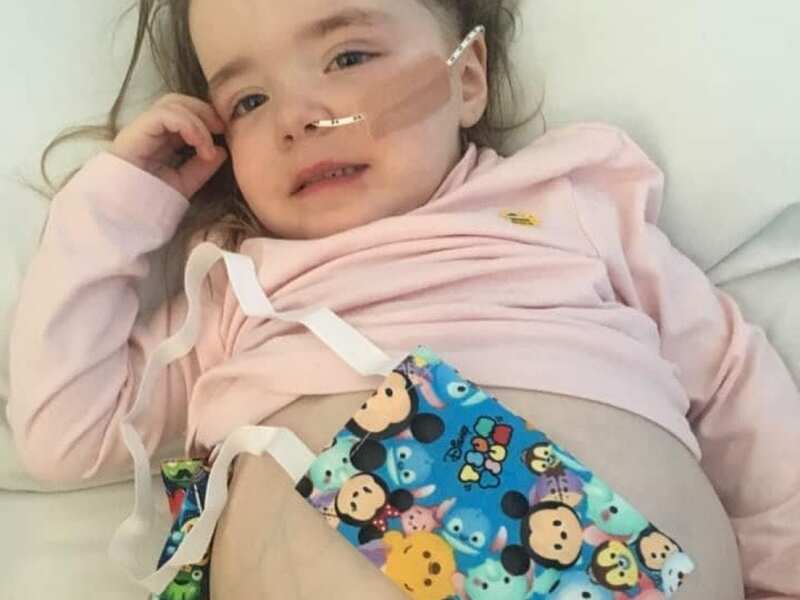 The youngster was given a CT scan, which revealed the huge tumour inside her abdomen, and she was taken to Manchester Children’s Hospital the next day. 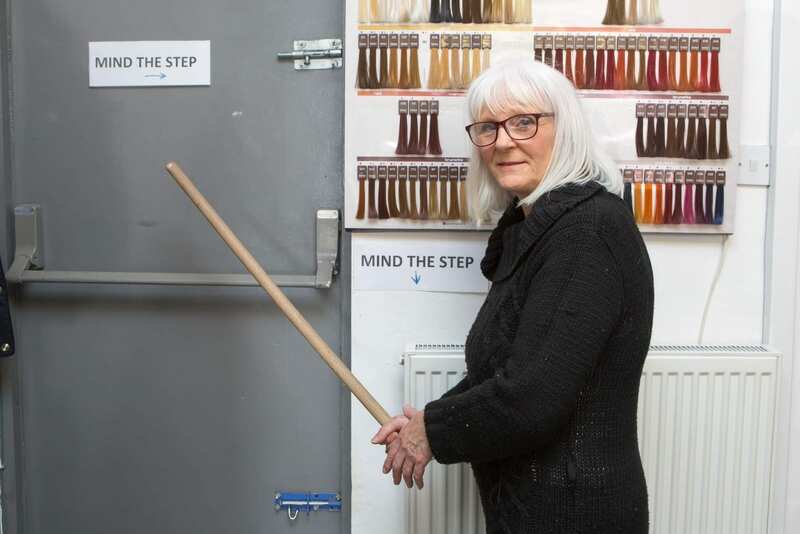 Shannon, who is a shop worker, from Blackpool, Lancs., said: “She looked like she was pregnant. I was getting more and more concerned. “Because of her hormone changes, they thought she had a hormone imbalance. “It was such a shock when we found out. It’s just begun to sink in because she’s so young and she’s such a bright child. 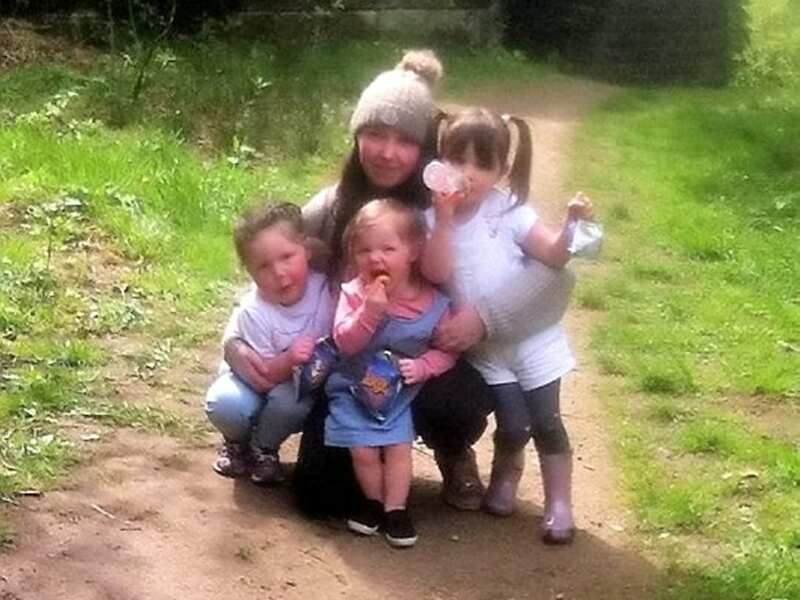 Mum Shannon Lathamwith is left to right- Emelia, Cleo and Ellie-Mae. 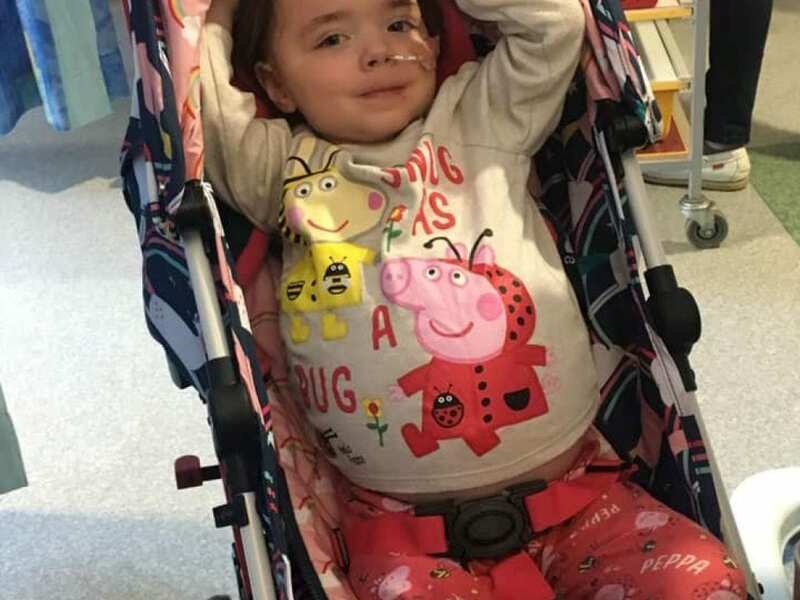 Cleo, who lives with her parents and sisters Emelia, five, and Ellie-Mae, four, must undergo more chemotherapy before having an operation to remove the malignant tumour and affected adrenal gland later this year. Heartbreakingly, Cleo’s chances of survival remain at just 25 to 35 per cent. She added: “Cleo is still smiling through every single day. She still laughs and jokes, and the hospital has been amazing – she’s been having fun in their playroom. She’s a little warrior. “I’m trying as hard as I can to stay positive and talk about it because when I talk about it it’s letting it out. But when I’m on my own my mind goes into overdrive and I’m just constantly crying. Shannon said: “Cleo is bubbly and independent. She’s really advanced for her age. She’s not like other two-year-olds. Her speech is amazing. She speaks like a four or five-year-old.